This Summer was the season of a surprising amount of mobile games for me. I did play a bunch of games on consoles and portable devices, but with the release of Final Fantasy Brave Exvius, Kingdom Hearts Unchained χ and Mobius Final Fantasy I had my work as a JRPG fan cut out for me. Aside from mobile games, I also finally completed the wonderful Fire Emblem Awakening and I just started Lost Dimension on Vita which I’m happy with so far. Speaking of handhelds, I’d like to give a shout out to portable gaming devices in general this month as they were a total gaming lifesaver while I was moving apartments this month. Without portable consoles, my gaming life would’ve been on hold and that simply wouldn't do! So here’s what I played this season and I hope everyone enjoyed their Summer gaming time! Let me know your favourite JRPGs of this Summer in the comments. Status: Now playing. Suspicious of everyone. I've definitely still got a lot of Lost Dimension to get through but I picked it up recently to fill time in between now and Final Fantasy XV (which you know, is delayed now) after it was recommended to me on Twitter (thanks @Sypherica!). I’m already enjoying its tactical battle system a lot and I really like how the Vision system helps you take notes on who the traitor may be. 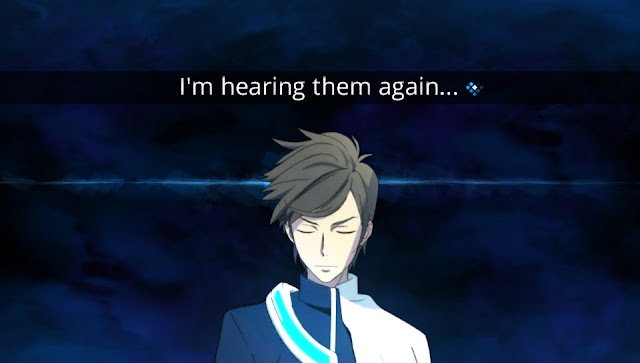 Since I’ve been enjoying the Danganronpa 3 anime recently, Lost Dimension satisfies my JRPG needs and my mystery 'find-the-traitor' visual novel needs all in one game. Status: Played for about 15 minutes, back on the shelf. 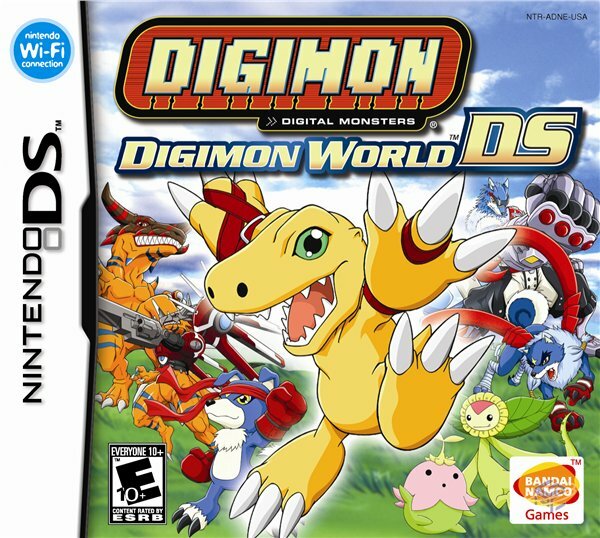 I missed Digimon Story Cyber Sleuth enough to pick up Digimon World DS when I randomly saw it for under $10 secondhand. 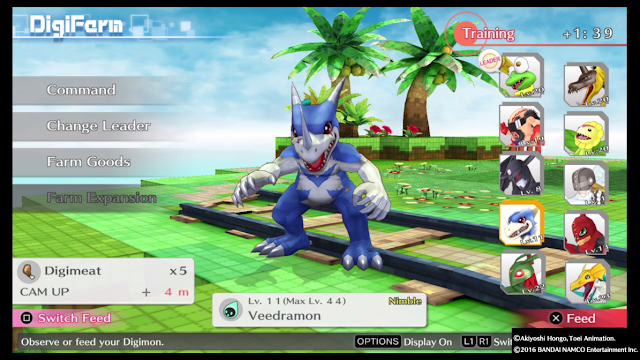 I didn’t do any research on it, I was just hoping it would bring me fun Digimon collection and the Digimon World experience I remembered from my childhood. I switched it on, found the different animation style and Japanese a little jarring, but I’m not saying it’s bad as it’s way too early to tell. I’ll have to sit down and really give this game a proper try sometime but I still think it was a cool find. Another game suggested by a friend (thanks @DefurInTokyo! 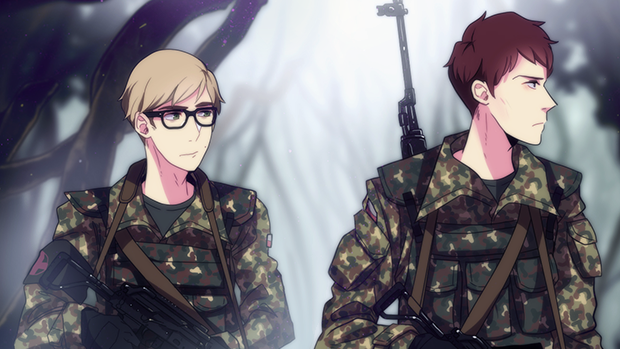 ), Long Gone Days is probably my second or third indie JRPG. I only played it briefly while taking a break from moving preparations, but already I like its quick character development and simplistic, yet smart battle system that required a little more thought than just hitting attack. Since I really enjoy the JRPG cross Visual Novel genre, I'm looking forward to getting back to this one soon. You can play the demo of Long Gone Days on Steam now for free! I played Mobius for an evening after being super excited for it in the weeks leading up to its launch. After playing it, I found myself a little underwhelmed. I don’t necessarily think it’s a bad game, but it didn’t hook me in. I don’t mind games with cards (I play Hearthstone regularly) but when combined with the lack of familiar Final Fantasy mechanics, while the system was interesting, it's not what I overly want from a portable Final Fantasy game. I really wanted to like Mobius so I may check in with it on occasion, but for now it's not nearly as compelling as Final Fantasy Brave Exvius is for me. Mobius Final Fantasy is available in both the App Store and the Google Play store. With my trusty Agumon pillow, I remembered I wanted to platinum Digimon Story Cyber Sleuth eventually and remembered how much fun I had with it. Coming back to a game after such a long time though, I saw how much I needed to do, felt a little overwhelmed and kinda bounced out. I do want to try platinum games I love in Japanese like I’m trying to do (with limited success) with Final Fantasy X so I know if I really want to collect all of those Digimon, I’ll do it. Final Fantasy Brave Exvius was another Final Fantasy mobile game I was extremely excited for and to my delight, ended up totally loving. Since I was a long time fan of Record Keeper, I initially wondered if Exvius would be as good as it was and it turned out to be better. It's character collection is like an upgraded version of Record Keeper, its battle system is much smarter for the platform it's on and there are finally some maps to explore making it feel much more like a legitimate RPG. In my opinion, it's the best Final Fantasy game on smartphones so definitely try it if you're a fan of Final Fantasy. Final Fantasy Brave Exvius is available in both the App Store and the Google Play store. Another one of the great mobile games released by Square Enix recently is Kingdom Hearts Unchained χ. I think Unchained χ is a particularly amazing smartphone game because it manages to somehow turn the active battle mechanics of Kingdom Hearts into a turn-based system while feeling like a really similar system to the Kingdom Hearts games on Playstation consoles. Unchained χ is literally giving away Stamina/AP right now with the current 0 AP Summer promo so if you're looking to try the game without limitations, now is the time. Kingdom Hearts Unchained X is available in both the App Store and the Google Play store. Status: Playing occasionally on the go. With so many new mobile games out, my X-Tactics playing did fall a little by the wayside. The times I did play though I was reminded how well the gameplay mechanics work together and would like to catch up on quests for it during Fall. 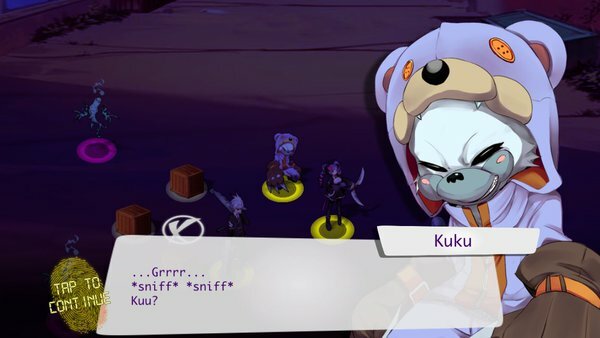 I also really want to continue collecting X-Coin to get the adorable Kuku into my party and finish the quests to get the third special attack for my characters. X-Tactics is available in both the App Store and the Google Play store. Read my first impressions or about my recent experiences with the game! It’s with many sighs that I consciously jumped off the Final Fantasy Record Keeper train this month because I just couldn't enjoy it the same way after Brave Exvius came out. Record Keeper was a great game when it came out but I got stale with the repetitive mechanics without any story or other incentive to keep playing, especially after I got behind on its content. I really liked Record Keeper for a long time so I’m a little sad it’s out of my mobile game roster but I’m also excited to keep finding more games that will keep me committed for over a year like Record Keeper did. Final Fantasy Record Keeper is available in both the App Store and the Google Play store. I really wish I hadn’t put off playing this for so long because it was fantastic. 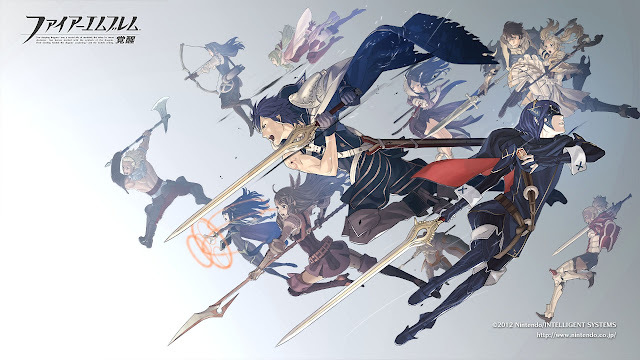 Fire Emblem Awakening is hands down one of the best tactical JRPGs I’ve ever played. The way its Support system affected the battles had me really motivated and excited to pair off characters and just the way the game was so personable with its characters was nice too. I already miss Tharja as well, my new favourite experimenting mage that’s high on my best girl list and many of the other fun characters that enriched the experience. As a new Fire Emblem fan, I’ll definitely be picking up Fire Emblem Fates soon as I’m sure it will be even better than Awakening. Feel free to comment with any other Fire Emblem suggestions! Technically not a JRPG, but it’s one of the funnest third-person shooter adventure games I’ve ever played and hooked me in the usual Danganronpa way of interrupting any after work activities I needed to do all week because I needed to finish that story. Not a good idea while I was preparing to move, but goddamn it was a fun 30 hours. I wanted to add it in this list because Danganronpa always manages to give me that hook I'm always looking for in games and its mechanics are a little similar to JRPGs, so I think some people will enjoy it and its messed up story about kids killing adults. Once this heat has subsided and fall has arrived, it brings with it a really big JRPG title - Persona 5. However this will only be out in Japanese and I definitely won't understand it on a native level. I was completely ready to give Final Fantasy XV the rest of my year, but since it’s been delayed I have no excuse not to try and understand Persona 5 in Japanese now. I’ll give it a shot, but it won’t be my top priority gaming wise. 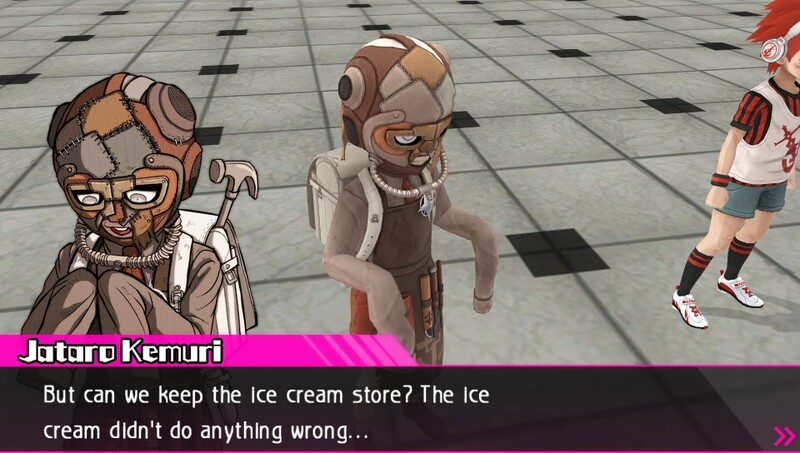 I’ll probably finish Lost Dimension and after that I’m not really sure. Like I said, Final Fantasy XV really had the rest of the foreseeable year for me and I have such a surprising amount of free gaming time now that I'm not sure what to do with it. To fill this free time, since I’ve finished moving apartments it would be nice to get back in touch with my home consoles. I may finally try the Atelier series or give Final Fantasy VII - one of my biggest unplayed JRPG sins - a try on PS4. I'm also pretty excited for World of Final Fantasy after the E3 footage shown and the new trailers, so at least I can get my Final Fantasy fix somehow! What did you play in Summer? Do you have any gaming plans for fall or did Final Fantasy XV's delay also leave a hole in your life?